While there are plenty of excellent and expensive options to choose from, there’s only one Amazon Echo most people really need: the Amazon Echo Dot. There are now so many Echo devices, it’s almost impossible to count them — and seemingly even harder to pick the right one for you. But even though Amazon makes plenty of solid Echo devices to choose from, there is actually one option that will suit most people just fine: the Echo Dot. It may seem like the most basic option in Amazon’s lineup, but there are plenty of reasons to buy the Dot over some of the fancier options. The Echo Dot only costs $50, and Amazon frequently offers promotions on it — for Black Friday, for instance, Amazon was selling the Dot for $24, and for the holidays, it’s on sale for $30. Compared to Amazon’s other devices, the Dot is crazy-cheap. The standard Echo is $100 (although it’s on sale for $70 right now), the Echo Spot is $130, and the Echo Plus is $150. But there’s no reason to spend that much when you can get a Dot for as lost as $24. The new design makes the Dot look not only more high-end, but more modern, too, and it should fit into your home’s decor better. Plus, the Dot’s small size means it fits well into nearly any space in your home — your bedside table, your kitchen counter, your bathroom…you name it. 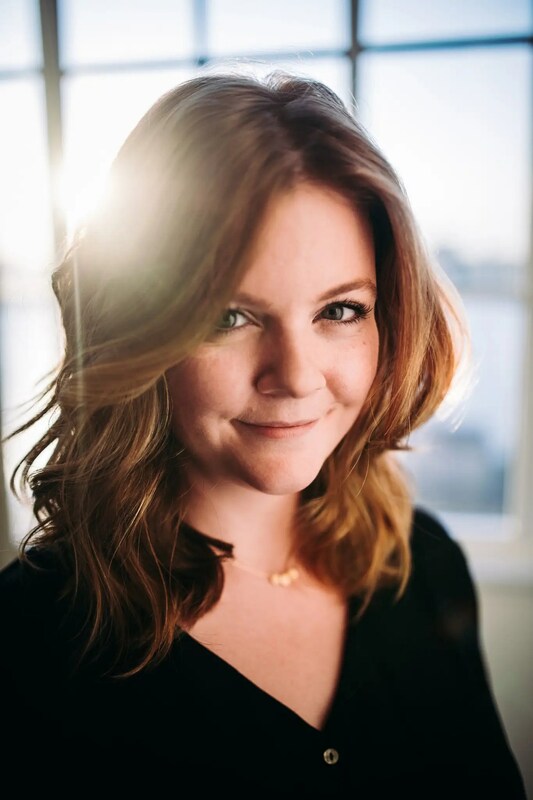 Perhaps the most important reason to choose the Echo Dot has more to do with what’s on the inside than what’s on the outside. The version of Alexa that lives inside the Echo Dot is no better and no worse than the Alexa that lives inside the Echo and Echo Plus. The Echo Dot can still answer random questions, make shopping lists, let you know the status of your package, tell you the news and weather, and more. You’re not getting a subpar Alexa just because you buy the less expensive product. The only area where the Dot may not measure up to other Echo devices is the audio quality. Amazon improved the speakers on the Dot compared to the previous generation, but due to its small size, the sound quality likely isn’t as good as a device like the Echo Plus. However, the Echo Dot has an ace up its sleeve: It has a standard audio jack in the back, so you can plug in any full-sized speakers you happen to have lying around. You can still talk to Alexa via the Echo Dot, but the sound output will come through your sound system — meaning it’s a good, affordable way to make your existing stereo a little smarter. That being said, if you’re in the market for high-end audio, and you don’t have your own speakers, don’t buy an Echo anyway. There are far better speakers out there for playing music, audiobooks, or podcasts. New leaked images claim to show parts from a 2018 iPhone. The photos show a large notched display that would reportedly be for an “iPhone X Plus,” a massive 6.5-inch phone said to be coming later this year. The parts may not be for an Apple phone however, since the original post claims they were manufactured by LG rather than Samsung. New leaked photos claim to show the screen of an “iPhone X Plus,” a 6.5-inch iPhone said to be coming in 2018. 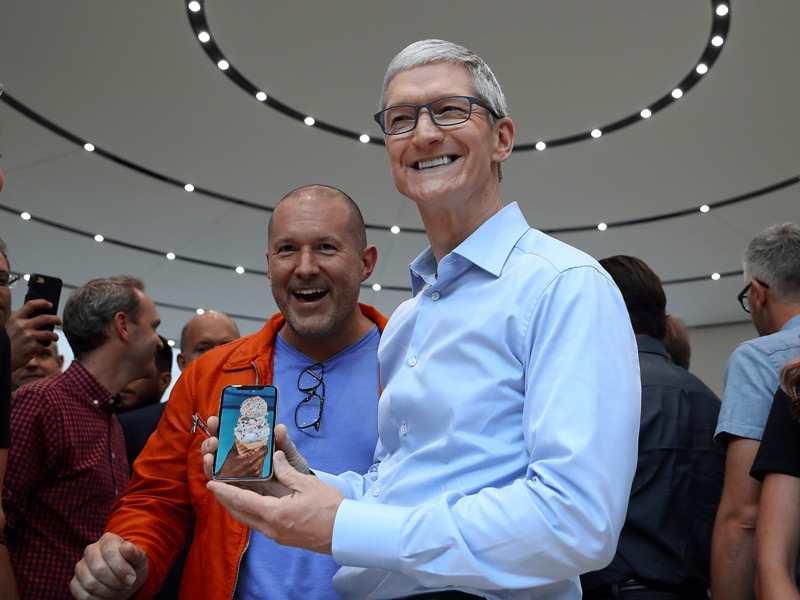 Apple is said to be releasing three new iPhone models in 2018: an upgraded iPhone X with a 5.8-inch OLED screen, a larger model with a 6.5-inch OLED screen, and a third iPhone model with a less expensive LCD screen. It’s clear from the photos that the screen is larger than the iPhone X but has the roughly the same size notch at the top of the screen. According to MacRumos, the part number printed on the flex cable attached to the screen is similar to Apple’s format. Still, there’s no way to verify whether these parts are legitimate and not made for an iPhone knockoff. Plus, if the original post is to be believed, the parts were manufactured by LG in Vietnam. While Apple did reportedly invest $2.7 billion in LG Display to build the OLED displays, Samsung was Apple’s exclusive OLED supplier for the iPhone X.
Apple unveiled not one, but three new iPhones at its hardware event on Tuesday. 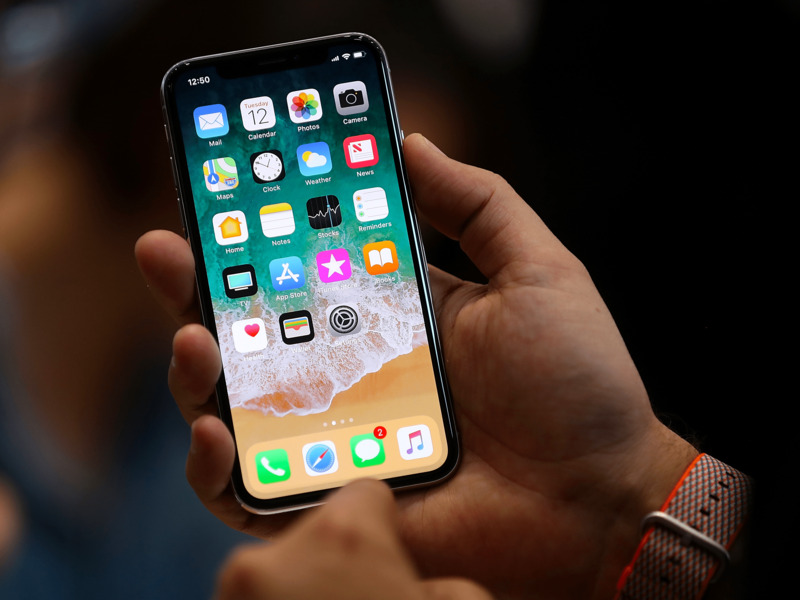 The iPhone X, iPhone 8, and iPhone 8 Plus join a slew of new products and services from Apple, many of which are set to roll out as early as this Friday. 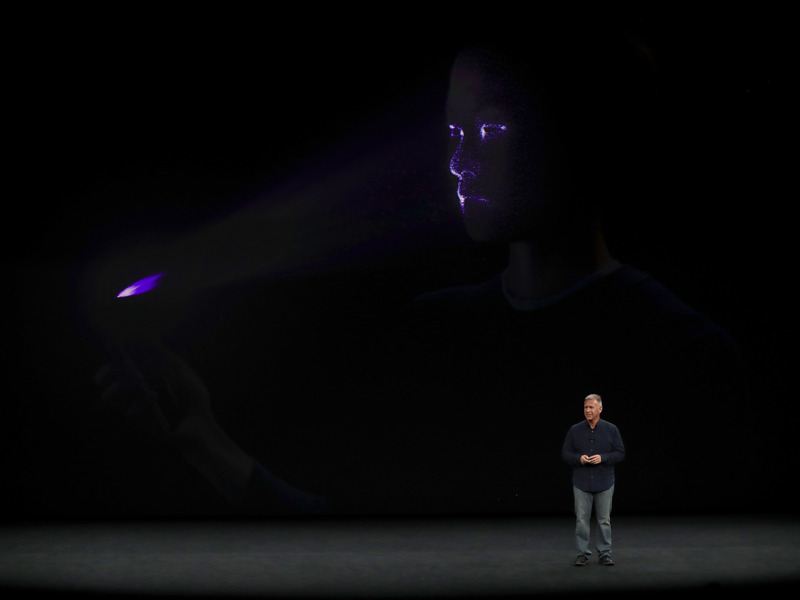 Along with the new phones, Apple announced its first foray into wireless charging, new facial-recognition technology, and a 4K Apple TV. Plus, Apple finally added a cellular connection to its new Apple Watch Series 3. Apple announced its latest and greatest iPhone, the iPhone X. The new iPhone X — pronounced “iPhone ten” — features a strikingly different design from its predecessors like the iPhone 7. It has a 5.8-inch screen that Apple calls a “Super Retina Display,” which utilizes a superior screen technology called OLED. The iPhone X comes in just two colors for now: black, and white. You can preorder the iPhone X on October 27. It ships on November 3, and has a starting price of $999 for 64GB of storage. There are also two more new iPhones: iPhone 8 and iPhone 8 Plus. Like its predecessor the iPhone 7, the iPhone 8 comes in two varieties: a standard 4.7-inch model, and a larger 5.5-inch “Plus” model. 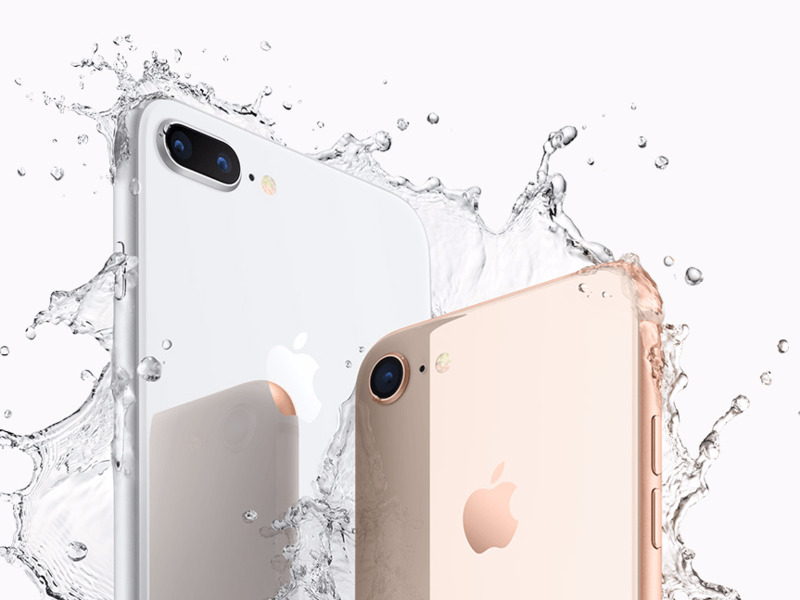 Apple is offering the two iPhone 8 models in three colors: silver, matte black, and a new gold color. Both the iPhone 8 and the 8 Plus have a glass back and both support the Qi wireless charging standard. The iPhone 8 and the iPhone 8 Plus start at $699 and arrive on September 22. The Apple Watch Series 3 is Apple’s third-generation smartwatch. Apple Watch Series 3 is the first Apple Watch, and the first Watch with cellular built in. The watch can make and receive calls allowing you to leave your phone at home, and will have the same number as your iPhone. The new watch comes in three colors: a new gold aluminum finish, silver, and space gray. Apple Watch Series 3 will be available to order on Friday and will start at $329 — the watch with cellular will cost $399. It will be available a week later, on September 22. Apple is launching its own heart rate study for Apple Watch users. The new Apple Watch Series 3 will feature an enhanced heart rate app, watch will notify you when it detects an elevated heart rate specifically when you’re not active. The sensor will also be able to analyze heart rhythm, so Apple is launching the Apple Heart Study in partnership with Stanford University. 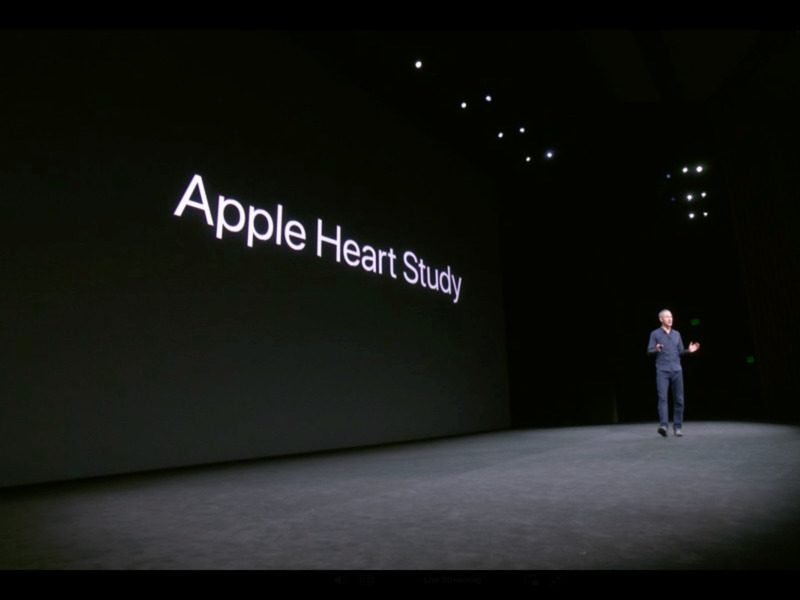 The study will use data from Apple Watch to analyze cardiac arrhythmia and will be available on the App Store later this year. There’s a new Apple TV that will stream video in ultra-sharp 4K resolution. The new Apple TV 4K will be able to stream 4K – or UHD (ultra high-definition) – resolution video, which is sharper than the full-HD 1080p resolution from previous Apple TV models. It will also support HDR (high dynamic range) to produce better colors and contrast between light and dark areas of a scene. The Apple TV 4K will be able to stream live video, like sports, in 4K HDR from Apple TV apps. It will be available to buy for $179 and you can pre-order it starting on September 15 — it ships a week later. Apple made its first wireless charging pad called AirPower. 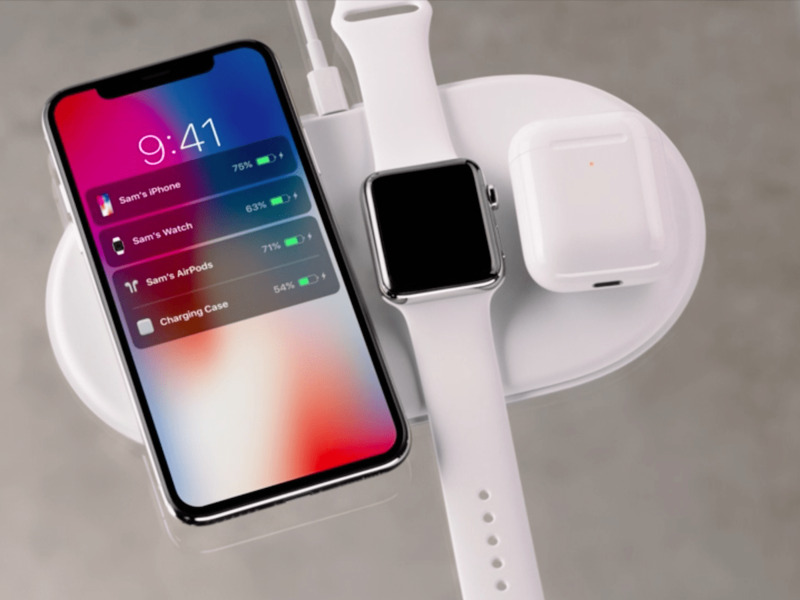 AirPower is a wireless charging pad that will be large and powerful enough to charge your new iPhone — either the new iPhone 8 or the high-end iPhone X — as well as your Apple Watch Series 3 and AirPods at the same time. Unfortunately, it sounds like AirPower won’t arrive until 2018. Apple must first work with the regulatory committee that oversees the Qi wireless charging standard to implement a new standard it developed for AirPower. Apple didn’t say how much AirPower would cost or when it will be available. 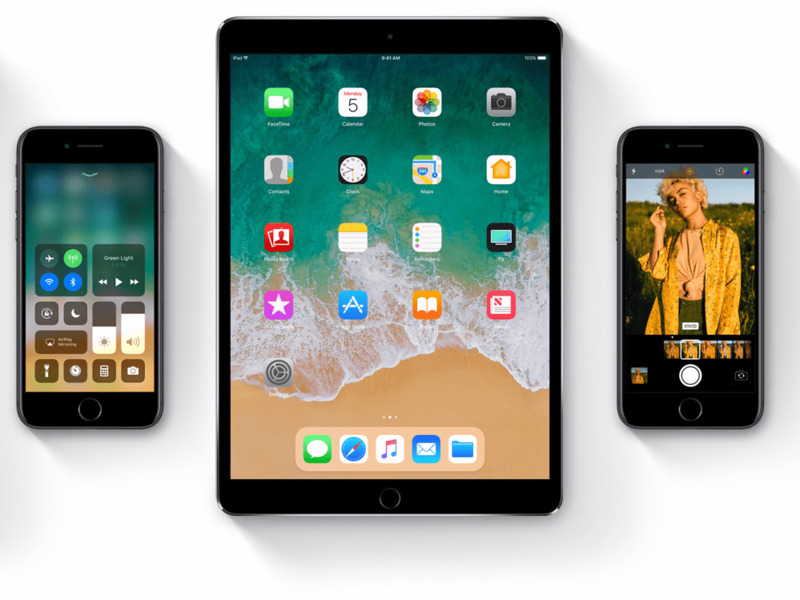 iOS 11 will arrive on your iPhone and iPad September 19. Apple’s smartphone operating system, iOS 11, will arrive on phones September 19. The new OS features person-to-person payments in Apple Pay, a refreshed Control Center, a revamped Apple Maps, support for augmented reality (AR) applications, and much more. 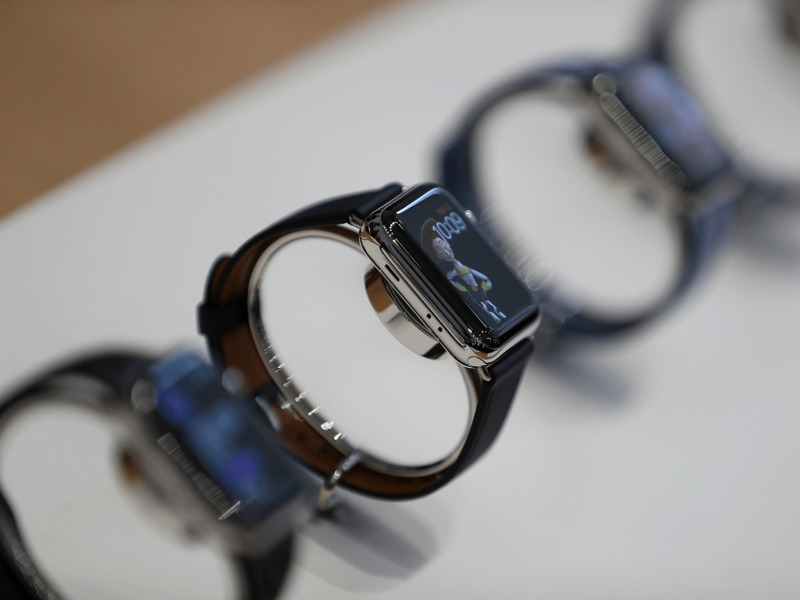 Apple’s smartwatch operating system, WatchOS 4, will also launch on the September 19. 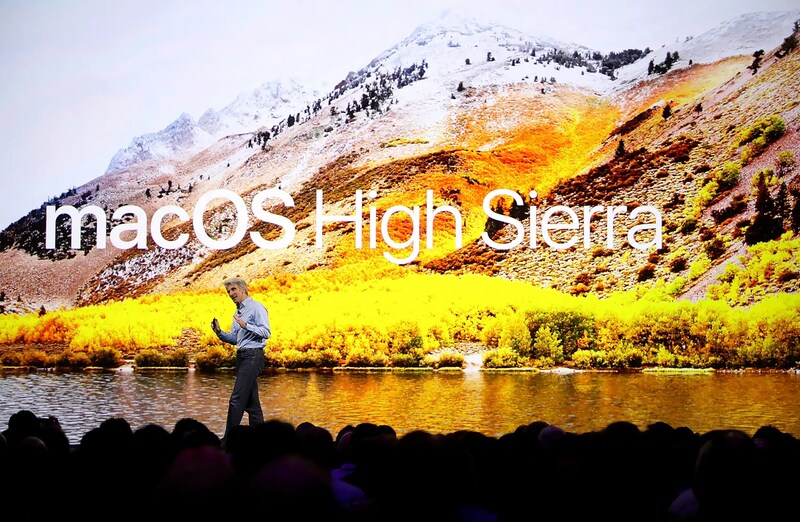 MacOS High Sierra will be available to download on September 25. Apple’s latest operating system for Mac laptops and desktops, MacOS High Sierra, will be available to download on Monday, September 25. MacOS High Sierra will include “Autoplay Blocking,” which stops media from autoplaying across the internet; an improved Photos app; an overhauled core file system, support for high-end virtual reality; and more. There’s a new system to unlock your iPhone X called FaceID. Face ID is the new way to unlock your phone on the iPhone X. Face ID replaces Touch ID, which scans your fingerprint to unlock the iPhone. Since the new iPhone X doesn’t have a physical home button or a Touch ID fingerprint sensor, Face ID will be the only way to securely lock and unlock the iPhone X.
Apple says Face ID will be able to handle and recognize any changes to your face, like beards, different haircuts, and putting on or taking off glasses and hats. And the technology will recognize your face in the day and night time. Animoji are animated emojis you can control with your face. Animoji use Apple’s new facial recognition software to turn you into animated emojis that can make facial expressions and talk. 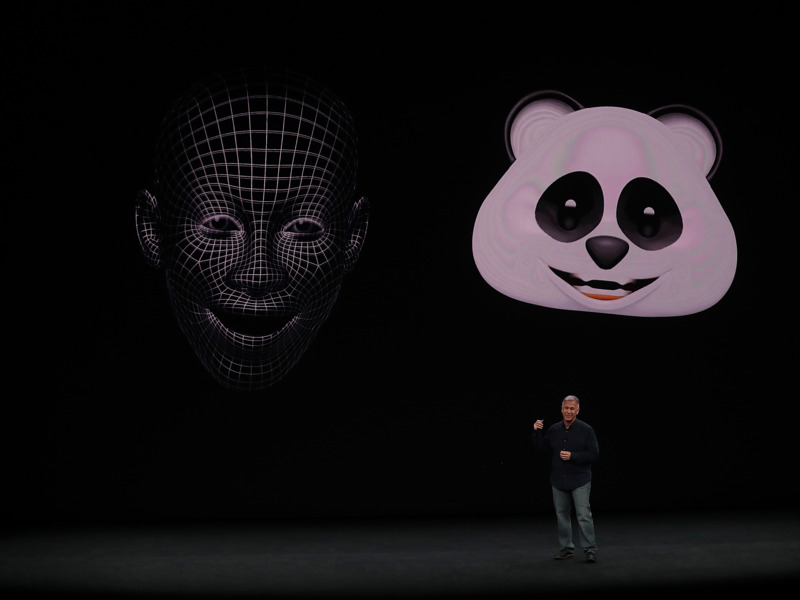 There are a dozen different Animojis, including the monkey, panda, alien, and fox. Changes are coming to Apple’s retail stores. Apple’s most famous store design feature will return late next year: The “cube” on 5th Avenue in New York City. Apple will open up its surrounding plaza and let light into the underground store. Apple is also opening a new flagship store on Michigan Avenue in Chicago. Apple’s retail boss Angela Ahrendts also announced another feature coming to Apple stores called “Today at Apple,” which gives customers tips for their devices, such as how to take great photos with photo walks around the town. There are also classes where people can learn to code and teachers can learn about the latest education apps.